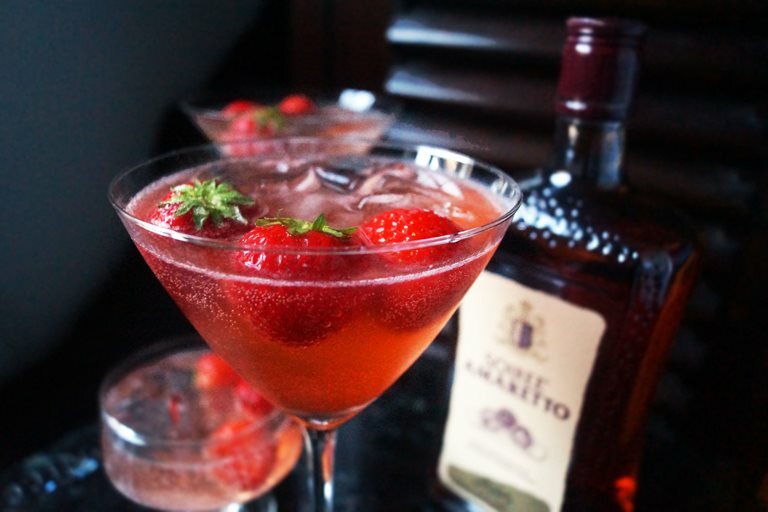 Miriam makes a Soiree Amaretto & strawberry shrub cocktail; a sweet, fruity drink perfect for a summer's evening. A shrub isn’t just a name for small trees but it’s also a tasty concoction, a bit like a cordial, made by preserving the juice from fresh fruit with vinegar, then counteracting the sourness with sugar. It can also be made the other way around - using sugar to first preserve the fruit and then balancing the flavour afterwards with vinegar. Either way, the result is a delicious, sharp/sour syrup which is a fantastic base for snazzy cocktails and mocktails. I’ve used the key ingredients of shrub making; fruit, sugar and vinegar to create the base for a tasty summer cocktail that’s just right for a sunny evening with friends. 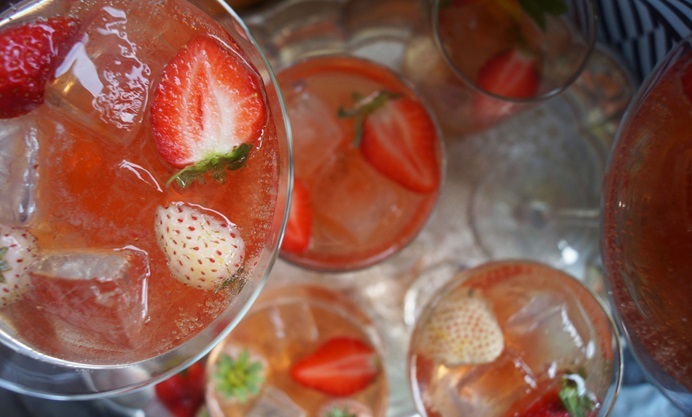 The combination of the strawberry shrub, lemon juice and the smoothness of Soiree Amaretto results in a sweet, fruity cocktail, perfect to serve after, or even instead of, dessert. Miriam Nice is a food writer, blogger, photographer and author of Cooking Without a Kitchen.